Do You Play to Win or Avoid Losing? In some soccer tournaments, a tie is as good as a win. Often a team has accumulated enough points in group play requiring only a tie to advance to the next round. Many of these teams will play it safe opting for a more defensive and counterattack style. While “playing not to lose” can be a safe strategy, it may not be the best strategy. Playing not to lose is a mindset of playing it safe. This negative mindset is based on the fear of losing and vaults a player’s mind to focusing on the potential outcome of the game. In addition, this negative mindset fosters anxiety and often backfires on teams. 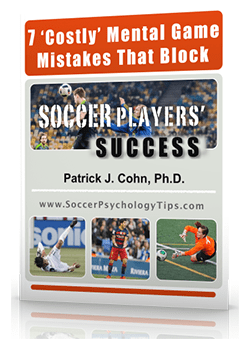 Since goals in soccer are few and far between, a goal by your opponent will demand that you switch your mindset mid-game from playing not to lose to frantically trying to score. 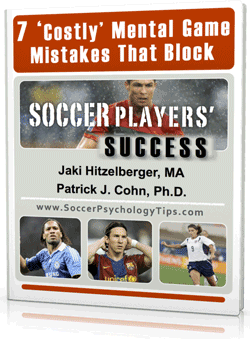 For most players changing your mindset in the middle of a game is a difficult task to pull off. Conversely, playing to win is a positive mindset where you focus on your team’s strengths and look for the opportunities to make plays right in front of you. 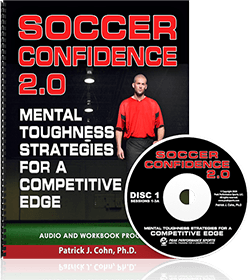 Playing to win is a mindset that immerses you in the present moment of the game and allows you to react quickly, with little conscious thought, to the action on the field as it unfolds. 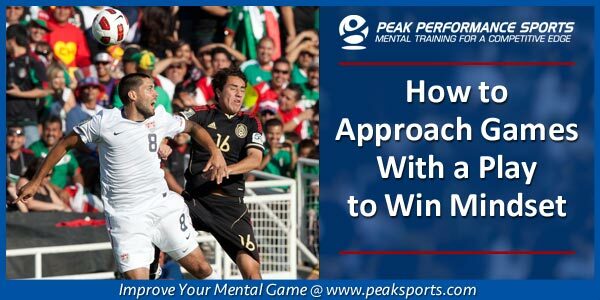 Playing to win, in many cases, is a safer way to approach a game because you are focused on playing a style of soccer that has proven to be successful for your team in past games. The United States Men’s National Team faced the decision on which mindset to adopt heading into the third group game at the 2016 Copa America. The USMNT opened the tournament with a disappointing loss to Colombia 2-0 then rebounded to rout Costa Rica 4-0. A tie against Paraguay most likely would land the USMNT in the Copa America quarterfinals. Instead of playing conservatively and going for the tie, the US focused on playing to secure and guaranteeing a spot in the quarterfinals. U.S. Coach Jurgen Klinsmann feels the US plays best when adopting an aggressive, play to win mindset and believes this approach is the only approach when it comes to being competitive in soccer. Klinsmann believes the early minutes of the game set the tone for the game and for his team’s mindset. That play to win mindset was the difference-maker in the game giving the US team a 1-0 victory over Paraguay and advancing the USMNT to the next round. Tip #1: Take calculated risks – Playing to win does not mean playing recklessly. It means you are looking for opportunities to make plays rather than preventing your opponents from making plays. Tip #2: Put the pressure on your opponents – By playing aggressively and putting the pressure on your opponents, you lessen the sense of pressure you feel internally.